HONG KONG (March 11, 2019) Hong Kong Disneyland Resort (HKDL) is welcoming the return of the “Carnivale of Stars” from now to June 26, with a rich line-up of spectacular offerings and vibrant decorations all around to celebrate the spring season. Hong Kong residents can enjoy a magical holiday without travelling overseas! Guests can enjoy our popular Disney Character Egg Hunt, with eggs-citing fun to search for new eggs, encounter characters appearing for the very first time, and take part in a host of activities across the resort that will be filled every day and night with Disney magic! On March 31, the highly ant-icipated new Marvel attraction, Ant-Man and The Wasp: Nano Battle! will also open. “Easter Magicarnival,” a series of large-scale outdoor festivities, will be held across the resort’s three hotels, making the Easter holiday even more magical. From April 19 to 28, guests will be amazed by over 30 delightful themed activities, including more than 10 brand-new ones. Book now for the exclusive Hong Kong residents “Easter Disney Magicarnival” Play, Stay & Dine Hotel Offer, starting at only HK$1,999 during specific period*. Egg-splorers can look forward to the popular “Disney Character Egg Hunt” with more than 100 adorable Disney character-themed eggs scattered across the entire resort. Guests will have a cracking good time searching for these enlarged eggs, decorated after Disney•Pixar characters, Marvel Super Heroes such as Ant-Man and Iron Man, and more! Some new eggs appearing this year include those featuring Bo Peep and Slinky Dog from Toy Story, Violet, Dash and Jack Jack from The Incredibles, Ralph and Vanellope from Ralph Breaks the Internet, as well as The Wasp and Captain Marvel. Cookie will even be appearing as a newly-designed egg. In addition, some eggs will be hidden in new locations this year, so do not miss the chance to find and take photos with them all! At The Annex, guests can meet Ralph and Vanellope from Ralph Breaks the Internet, who will be making their debut in HKDL this spring. On Main Street, U.S.A., Duffy’s new friend, Cookie, will be joining the festivities for the very first time, sporting her new springtime outfit. The springtime adventure continues with the all-new Disney Stars Springtime Celebration – a special moment takes place at the Castle Hub Stage once a day. It stars our beloved Disney friends, dressed in springtime outfits, and joined by dancers, as they welcome the season. Do not miss the opportunity to snap unforgettable photos with the exquisite landscaping in the hub area and Fantasy Gardens, with recreated scenes from beloved Disney stories such as Moana, The Lion King, Winnie the Pooh and Bambi. Heroes of all sizes are being called on to go all-in and join the battle at HKDL’s new Marvel attraction, Ant-Man and The Wasp: Nano Battle! opening on March 31 in Tomorrowland, this high-tech, high-energy interactive adventure lets guests shrink to ant size and fight alongside Ant-Man and the Wasp. Springtime joy will extend to all three resort hotels for a truly memorable holiday. Hotel guests staying between April 19 and 28 can enjoy the wonderful Easter Magicarnival, featuring over 30 engaging outdoor games and activities across the lawns of the three hotels, including more than 10 new activities this year. 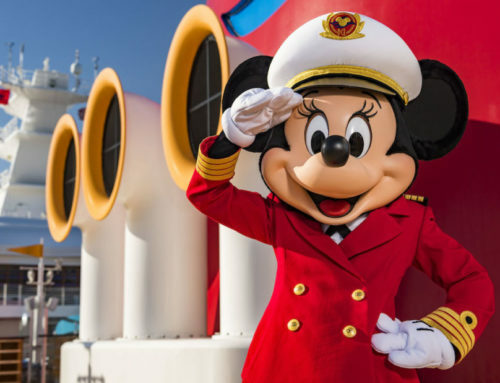 Little guests aged 2-6 will love the Disney-themed bouncy castles, mini electric cars and this year families can take part in the new large-scale inflatables games, arts-and-crafts workshops and new entertainment performances, along with meeting their favorite Disney friends. At Hong Kong Disneyland Hotel, energetic little guests can join the Mickey Sports Day Challenge to show their physical coordination, speed and flexibility. Guests can learn to be like Merida from Braveat the Brave Warrior Challenge at Disney Explorers Lodge, with an archery game. Little artists can also paint a big toy house exterior to create an Imagination Fun House. Another all-new activity, called “Memory Searcher,” based on the idea of “long-term memories” from the beloved movie, Inside Out, can be found at Disney’s Hollywood Hotel, where guests must find their way through a maze as they search for memory orbs, just like Joy and Sadness. An exclusive offer is now available for Hong Kong residents. Starting from HK$1,999*, guests can enjoy a stay in Disney Explorers Lodge, receive 1-day admission tickets to the Easter Magicarnival for two guests, and get HK$200 dining voucher for lunch or dinner session at hotel restaurants offering table service. This offer comes with discounts on merchandise as well. Guests can also enjoy HK$180 off for the second night accommodation^ for a more relaxing staycation! For details, please refer to https://www.hongkongdisneyland.com/offers-discounts/hkr-easter-magicarnival-hotel-offer/. Throughout spring, all three hotels deliver unique offerings that are guaranteed to offer all-day fun. Hotel guests will receive a complimentary spring-themed souvenir set in each room, including an amenities box and Disney slippers. There will also be brand new spring-themed recreational activities and arts & crafts workshops for little guests to enjoy throughout the day. When evening arrives, guests can enjoy our Classic Disney Music Moment in the lobby of the Hong Kong Disneyland Hotel, where they can wind down with soothing live music, accompanied by character appearances. The seasonal celebration is complemented by more than 50 different delicacies, to be enjoyed throughout the resort. In the park, Royal Banquet Hall offers a character buffet for the very first time. Be sure to meet Donald Duck in his new “royal” look, while enjoying the dinner buffet, which features seasonal food from all over the world! Relax with the Duffy and Friends Afternoon Tea Set at the Main Street Corner Cafe Hosted by Coca-Cola®. Or snack away with a Chocolate Potato Chips Sundae, a limited-edition Casey Jr. Popcorn Bucket and Dumbo Sipper at outdoor vending carts. For a more nourishing bite in our hotels, head over to the World of Color Restaurant in Disney Explorers Lodge for the Spring Colorful Brunch or a Dessert Moment – Duffy & Friends’ Tea Party afternoon tea. The new brunch menu features refreshing choices such as plant-based chicken rice paper rolls and pan-fried Omnipork hash brown with saffron vegenaise. The afternoon set includes camera-ready Duffy & Friends desserts. For the perfect family activity, join the dinner buffet at Chef Mickey in Disney’s Hollywood Hotel for an Ant-Man and The Wasp-themed DIY chocolate egg-making session. A springtime shopping paradise awaits, with 80-plus seasonal exclusives available only at HKDL! Discover new favorites, including apparel and accessories, plush toys, stationery, toys and pins. Keen collectors can look out for the new Eggstravaganza egg-shaped toy, starring Mickey and friends, along with characters from Toy Story. Fans of Duffy and Friends shouldn’t miss Cookie’s debut in an adorable Easter-themed outfit as well as the all-new tea party spring-themed collections, while stock lasts. From now to July 14, 2019, Magic Access members can enjoy the “Bring a Friend” offer for a discount of HK$200 on 1-day General Admission Ticket#, bringing friends to the Park to enjoy “Carnivale of Stars” and lots more! From now to April 19, 2019, Magic Access members may redeem a member-exclusive collectible Disney egg pin every week for six consecutive weeks in the park! The collectible Disney egg pin includes, Mickey, Minnie, Pinocchio, Cheshire Cat, Forky from Toy Story 4, and a mystery pin. Members have to present their valid membership card and an eligible on-day park or hotel merchandise or restaurant food and beverage spending receipt to redeem an egg pin** in person. The egg pins are limited in quantity and available for redemption while supplies last. The Offer is available to Hong Kong residents and designated room types on designated check-in dates only. ^ Guests are eligible for Two Carnival Tickets for each room booking, irrespective of the number of nights Guests will be staying at the Hotel. #Magic Access members can enjoy this offer maximum once per day. Magic Access member is required to enter the Park together with the Guests holding the valid offer ticket. Platinum members can bring up to 5 guests per day, Gold members can bring up to 4 friends per day and Silver members can bring up to 2 friends per day. **Redemption activity will end on April 19, 2019. Each Member may redeem each pin style once only. Limited offer while stock lasts. For details of redemption requirements, please login to the Magic Access Member site. Terms and conditions apply.